After Greendale’s obnoxious glee club is institutionalised, their instructor Mr. Rad must convince the unwilling study group to be stand ins for the upcoming Christmas pageant. One by one they perform amazing little holiday ditties to persuade each other to participate. 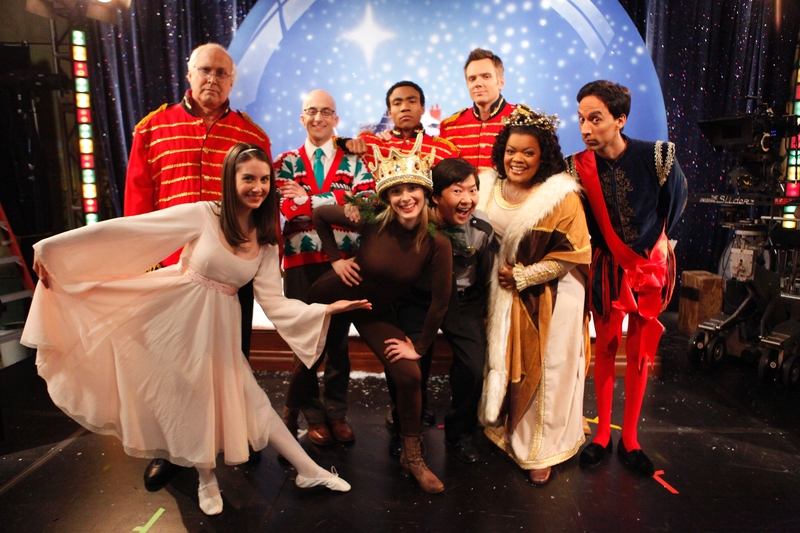 Highlights include Troy and Abed’s “Baby Boomer Santa” variety number, Shirley’s children’s choir-accompanied “Happy Birthday, Jesus” and Britta’s (awkward) heart’s song. To help you get in the festive spirit, enjoy a schmaltzy Christmas movie review of Melissa Joan Hart’s 2007 comedic classic Holiday in Handcuffs! To help you get in the festive spirit, enjoy a schmaltzy Christmas movie review of 2014’s seasonal and romantic, The Nine Lives of Christmas!